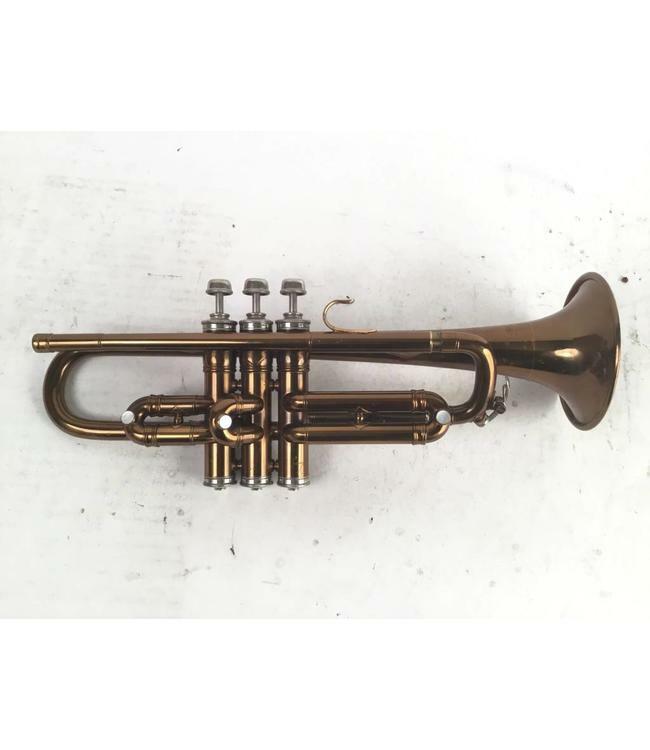 Used York Eb ONLY trumpet in lacquer. Instrument is in good condition with lacquer wear and surface scratching throughout. On the bell the following is engraved: "Grand Rapids Michigan USA" and includes case.